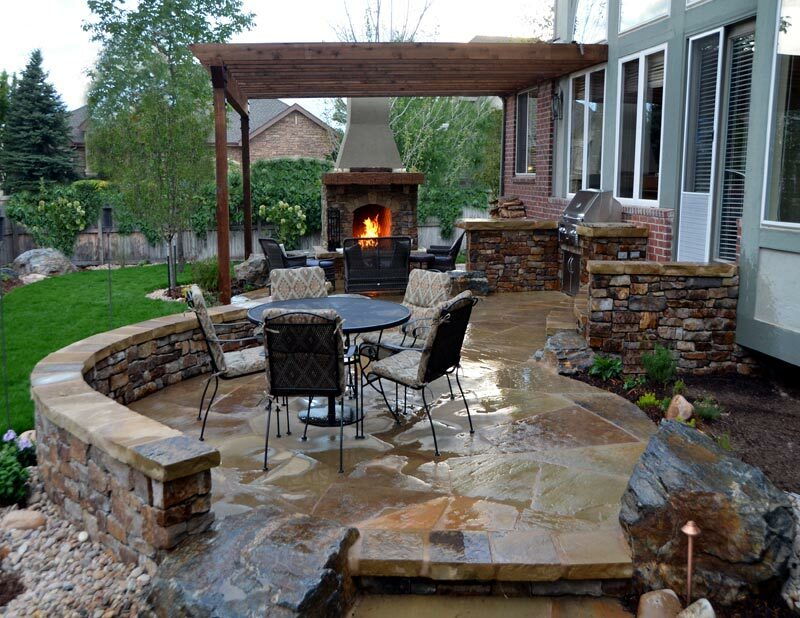 The great variety of barbecue patio ideas are brought forward to inspire homeowners to create their own outdoor relaxation and lunch areas. These are perfect for spring and summer outdoor gatherings. Being able to prepare delicious barbecue right in your patio with your friends and family members sitting around, you are sure to forget about all problems and hardships you may be facing. 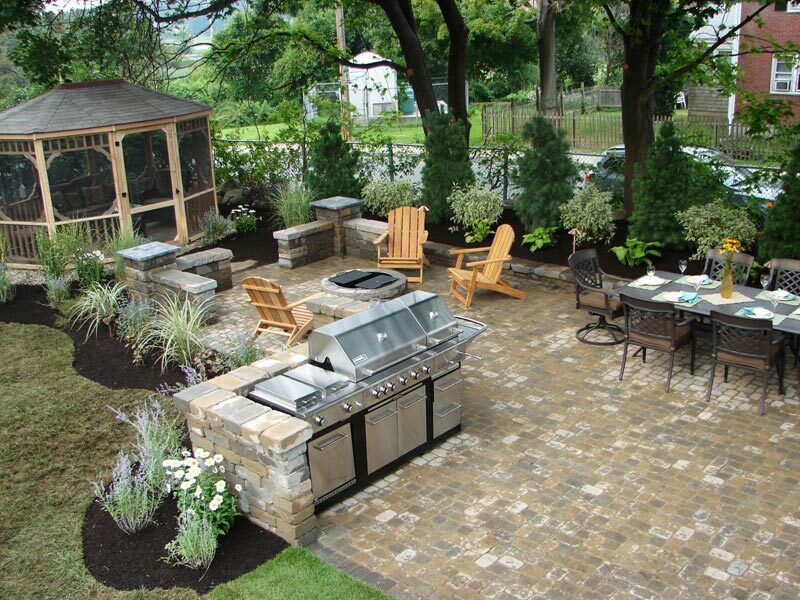 So, here are several most widely applied and practical solutions how to turn your patio into a wonderful barbecue zone. 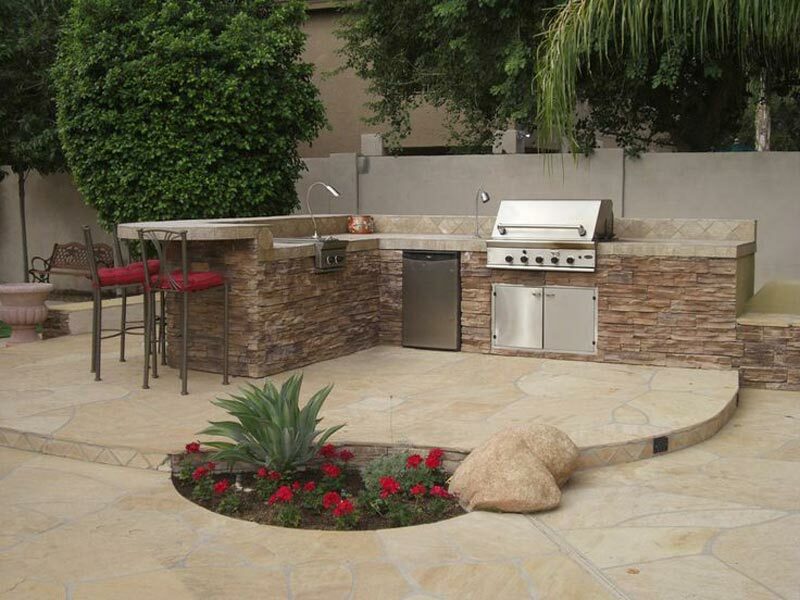 One of the brightest and most inviting looking ideas for a barbecue patio is creating a space with a cooking island under the wall and a dining space just about a couple of meters away of it. The dining space is to be composed of a round glass-top table and two (or more) rattan armchairs. The cooking island made of stone must be equipped with a grill and a little sink. The back space of the island as well as the dining zone are to be planted with lots of greenery that climb up the wall. Meanwhile near the entrance to your patio you must have a big stone pot full of high colorful flowers. 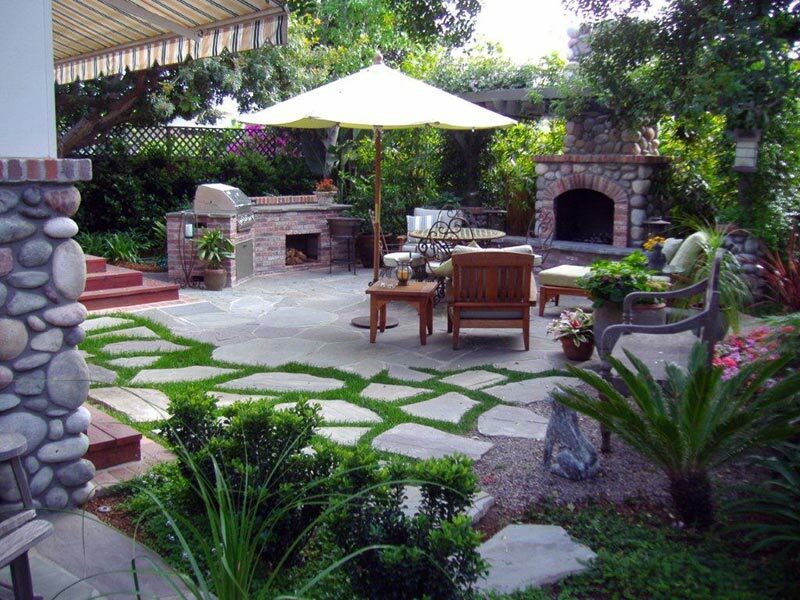 Such a relaxation zone is especially convenient for small or middle-size patios. 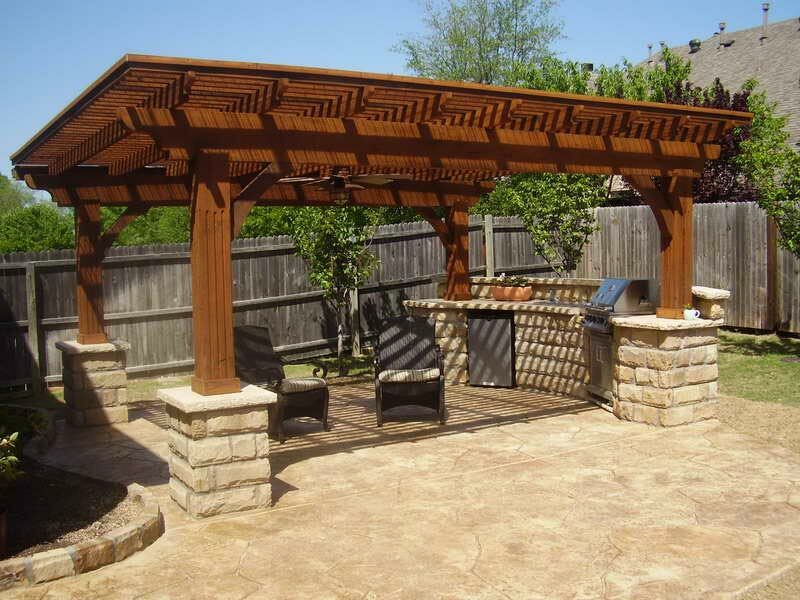 For a rustic patio design, you should consider the barbecue patio ideas that include lots of wood. Oak wood is especially grandiose for such constructions as it features natural unique grain that brings a rich and at the same time older look. If you have a long patio, place a long island with a grill, sink and other amenities for preparing barbecue along the wall. Here you can also accommodate a fireplace as well. Right on the opposite side place two rectangle tables each with four chairs all made of oak wood. If you manage to build a suitable wooden roof, you are going to have a thorough grandiose place for relaxation.